Loretto Volunteers work in service and justice organizations in cities where Loretto Sisters live and work. Some of these organizations are run by Loretto women; all of them promote the social justice values of the Loretto Community. Note: We place 10 volunteers per year, so not all of these positions will be filled. In addition, due to natural shifts in funding and management, not all placements are available each year. The Loretto Volunteer at CASFV will facilitate Youth Services presentations and Teen Intervention Prevention Program classes with teens and families impacted by sexual and/or family violence. 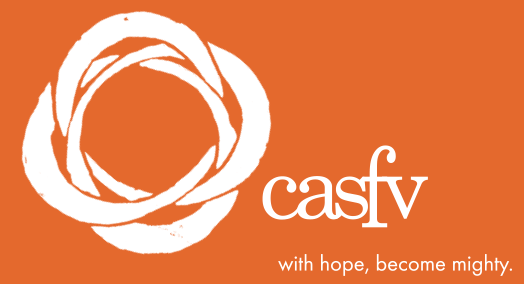 In addition to prevention programs, CASFV provides emergency housing, transitional housing, counseling, and legal assistance to survivors of domestic and sexual assault. Las Americas serves low-income immigrants of all backgrounds, including refugees, survivors of domestic violence, trafficking survivors, asylum seekers, DACA eligible adults, victims of crime, and families seeking reunification. Their clients come from over 60 countries seeking a wide variety of legal services. The Loretto Volunteer will help the Managing Attorney with client communications, detention center visits, and community outreach. 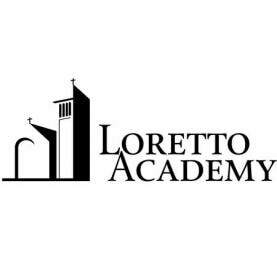 Founded by the Sisters of Loretto in 1923, Loretto Academy is an independent, Catholic institution founded in the values of faith, community, justice, and respect. The Loretto Volunteer will work in the student activities office of the all-girls' middle and high school, helping to plan a wide variety of extracurricular opportunities. This position requires close collaboration with both students and teachers in planning and facilitating special events, activities, regular club meetings, and more. 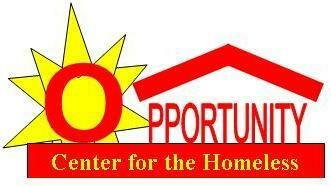 The Opportunity Center exists for all homeless without distinction of race, ethnic origin, language spoken or religious beliefs, and regardless of mental, drug and alcohol problems. The OC operates a day resource center/emergency overflow night shelter where homeless people can gather and where members of the El Paso Coalition for the Homeless can provide on-site services. The Center also strives to create a system of care for the most needy among this population through the development of transitional and long-term supportive housing. 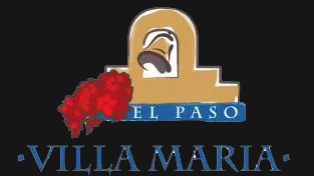 Villa María provides a home for women who are homeless and without children where can transition from crisis to self-sufficiency while living within a beautiful, safe, supportive and spiritual community. The Loretto Volunteer at Villa María will work closely with the organization's Executive Director and Case Manager to assist residents with education, job opportunities and affordable housing searches. The Instructor/Program Specialist at this public charter school will co-teach subject area classes (English, math, etc.) to help prepare adult learners for the GED test by providing a supportive and empowering learning community for members of the local community. Additional duties include: program administration (in-take and student testing, assessing and tracking student performance), helping to expand community outreach and workforce development partnership and other projects based of the particular skills and expertise of the volunteer. 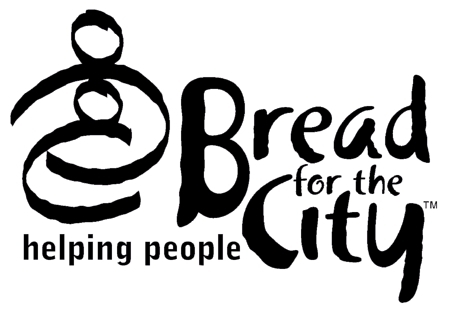 The Legal Clinic Coordinator will help to serve Bread for the City’s clients in their Legal Clinic. Specific duties include: helping with new client intakes, providing information and referral services for clients, and representing clients who have been denied public benefits before an Administrative Law Judge. The volunteer will also help with Spanish-speaking clients in all of Bread for the City’s programs. Spanish proficiency preferred but not required. The Patient Navigator will work closely with patients and staff to ensure that access to medication is not a barrier to patient care. This position offers an opportunity to learn about the diverse types of medical, dental and behavioral health care provided by Community of Hope. Responsibilities include tracking and supporting practitioners with patient-care related tasks and building relationships with patients, Health Services staff and community members. The Family Health and Birth Center is a full scope birth center providing prenatal, birth, postnatal, gynecological and primary health care to women and their families in Northeast DC. The Patient Advocate would work to directly with patients to make sure they receive affordable and uninterrupted access to prescribe medications and supplies. They will support the Primary Care team and midwives and would have the opportunity to design, prepare and deliver a healthy living curriculum over several weeks to motivated patients. ​The volunteer will help to plan and execute educational and spiritual development programs in LGBT ministry for Catholic pastoral workers, parents, and LGBT people. These programs include retreats, conferences, workshops, publications, and other projects or functions. The position includes public aspects as well as associated office tasks. 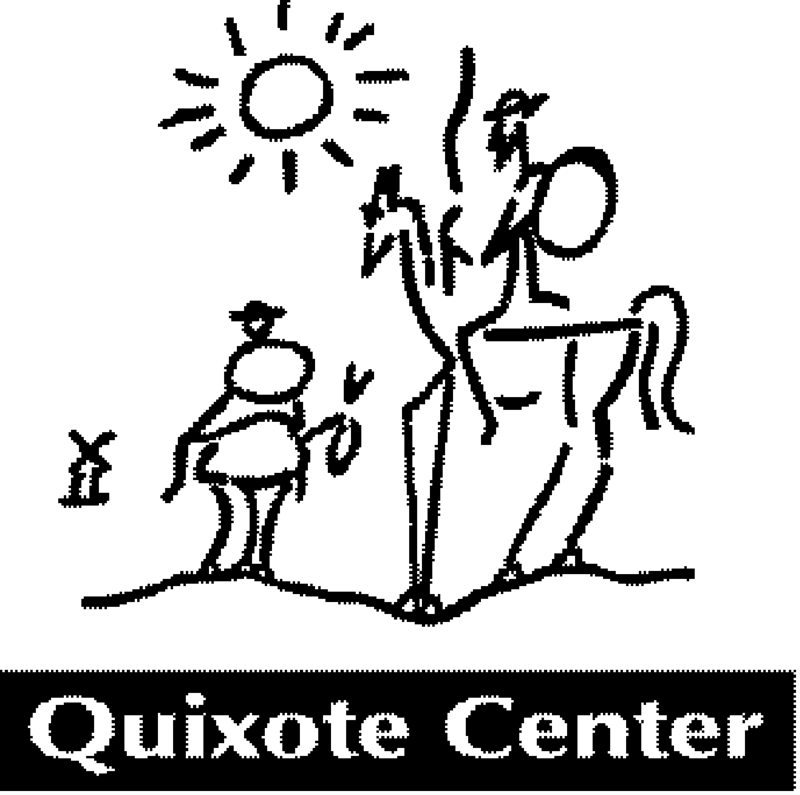 The Quixote Center is a multi-issue social justice organization working to effect meaningful change in the world by creatively advocating for systemic solutions to transform oppressive institutions. Current projects include affordable housing in Nicaragua, climate adaptive farming and reforestation in Haiti and Nicaragua, the promotion of inclusive language within the church, and working to end an unjust system of incarceration and punishment in the United States. The Program Associate will participate in planning for one or more of these programs and may also participate in development and administrative activities or the launching of a new project. ​​The Loretto Volunteer will co-lead UNHCR Regional Office Washington's response to individual inquiries from persons of concern (asylum seekers, refugees, stateless individuals, and others). This lines up directly with UNHCR's mission to ensure that everybody is able to seek asylum and find safe refuge. The work our service volunteers do is invaluable to UNHCR. They are at the front line in making sure we meet the needs of the individuals we are mandated to protect. The volunteer will engage in the full range of activities at WATER, from office work to program planning. Duties may include: general office work, assistance to staff with writing projects, work in marketing, communications, website, as well as event and program planning. WATER is an international community of justice-seeking people who promote the use of feminist values to make religious and social change. "Working at WATER not only taught me about the daily operations of running a small nonprofit organization but provided me the opportunity to work in a feminist environment that valued collaboration and coalition, whether in theological conversations, ritual planning, or grant writing." Almost Home works to break the cycle of poverty for teenage moms, two generations at a time. The Employment & Training Specialist will work with the Creating Employment Opportunities Program to help women obtain and maintain employment. Responsibilities include assisting clients with employment preparation, career coaching, follow up services, and cultivating relationships with area employers to identify appropriate employment opportunities. By serving as a resource for young moms, the volunteer will help women harness their strengths to achieve self-sufficiency for themselves and their child(ren). Missouri Health Care for All is a statewide, non-partisan, grassroots movement committed to securing access to quality, affordable health care for all Missourians. The Fellow will serve in a fast-moving, staff-level position while gaining great non-profit advocacy experience.​ Duties include implementing grassroots mobilization tactics, including legislator in-district meetings, outreach events, one-on-one meetings, phone banks, rallies, earned media, and bringing constituents to the Capitol. The Fellow will also aid in coalition work, volunteer recruitment and supervision, story banking, and occasional administrative duties. Due to the shifting political landscape and the ramifications of Executive Orders and potential legislation, immigrants have a heightened need for information and advocacy. The Community Advocate will help coordination of advocacy efforts with the community at large and also within specific events and activities planned to empower existing immigrant clients. Their responsibilities may include: tracking policy issues, helping to organize "Know Your Rights" and "Power of Attorney" workshops, grant writing, and community outreach. Family Care Health Centers (FCHC) is one of the premiere health care providers in St. Louis, providing comprehensive holistic primary health care for those who may otherwise not have access to services because of economic status or lack of insurance. This flexible and dynamic volunteer will have the opportunity to work with skilled doctors and staff and will have the independence to create project-based work unique to the volunteer’s interest. Past projects include: planning wellness fairs highlighting good nutrition and dental care, one-on-one counseling with patients including behavioral assessments, living wills, family planning as well as re-designing educational and group activities for parents and children. IFCLA is a non-profit organization that collaborates with congregations, schools and organizations in the St. Louis metro area and across the U.S. to advocate for human rights and social justice across Latin America. The volunteer will participate in the life and work of the IFCLA collective to support programming, research, fundraising and administrative work around immigration and food justice/ free trade. In addition to office management work, some program aspects include challenging racial profiling of immigrants, sweatfree communities, organize group to go to Georgia to close the SOA/WHINSEC, speaking events, monthly dinners in Latino restaurants, human rights monitoring, organize April Days of Action in DC, and managing organization's communications/social media. The teaching assistant will be responsible for a range of teacher assistant responsibilities at this middle school for girls that is committed to breaking the cycle of poverty. His/her role will include assisting in classrooms, one-on-one tutoring, leading clubs/sports, and/or other responsibilities based on her skills and interests. The Client Support & Community Engagement Coordinator will play a critical role in expanding the MICA Project’s capacity during a critical time for immigrant and refugee rights. Through communications with current and potential clients, the volunteer will enable the organization to more quickly and effectively meet client needs. The volunteer will help with critical tasks in running the nonprofit, gaining experience in many areas required for future nonprofit work. Spanish language ability preferred but not required. The Service Associate works with the Campus Ministry Department at this Loretto-founded girls' high school to expand opportunities for local community service days and to accompany students on service immersion trips. Trips include but are not limited to, Washington DC, NYC, El Paso TX, Fort Benning GA (SOA), Nerinx KY and El Salvador. Additionally the volunteer assists and plans service-learning activities for the classroom, retreats, rituals and justice-themed assemblies/events. "Nerinx has been such an uplifting space to work at. I've been lucky to witness the fierce young women them lobby on Capitol Hill, will serve with them in El Salvador, and more! I am constantly reminded of how much girls really do rock!" goals, some possibilities include: assisting in the design and implementation of a home exercise program for patients or support groups for patients with chronic illnesses; serving as a Whole Health Coach to focus on the overall well-being of our patients, which represents a significant shift in delivery of healthcare; and/or forming patient focus groups and conducting surveys that will provide feedback regarding the optimal approaches to patient support. Medical background is NOT a requirement for this position! The Volunteer will assist in the representation of the Loretto Community at the United Nations by advocating for peace and justice on a global scale. Loretto Volunteers have had the opportunity to engage in various projects and issue areas including participation on NGO committees, attending high-level UN dialogues and briefings and reporting on those events for Loretto’s larger network, coordinating delegations of students from Loretto affiliated high schools to the UN to participate in the annual Commission on the Status of Women, and creating materials/presentations to highlight the international work of Loretto.